The DOVER Bathroom Vanity series features beautiful white solid maple wood full overlays over 100% all wood construction for long-lasting durability. Classic shaker style vanities can be used to upgrade or enhance just about any type of bathroom design. These vanities and cabinet options are made by JSI bathroom cabinets, a leader in the residential cabinet industry. 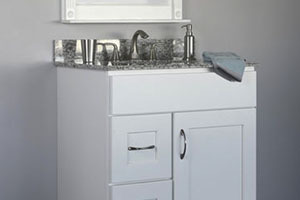 Choose from a selection of vanities and cabinets to further customize your design. The clean lines and quality construction of this series embraces to traditional look and feel of New England design. 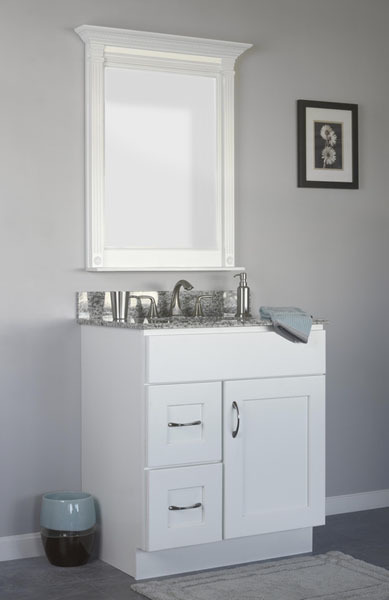 Homeowners who are looking for well-designed, painted white solid maple wood cabinetry for their bathroom need look no further than the DOVER Bathroom Vanity collection. 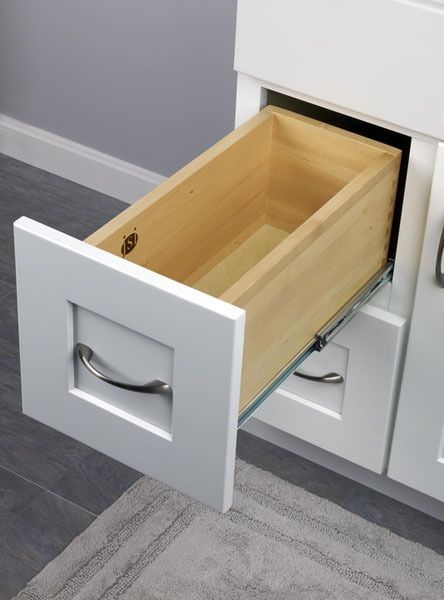 Experienced craftsmen create these shaker style vanities and accessories, which feature slab style door fronts, European style hinges, under mounted steel drawer glides and well-built dovertail drawer boxes for added function and beauty. JSI bathroom cabinets provide the great looking results you want without a huge investment, especially when you purchase them at Cabinet Factory Outlet.